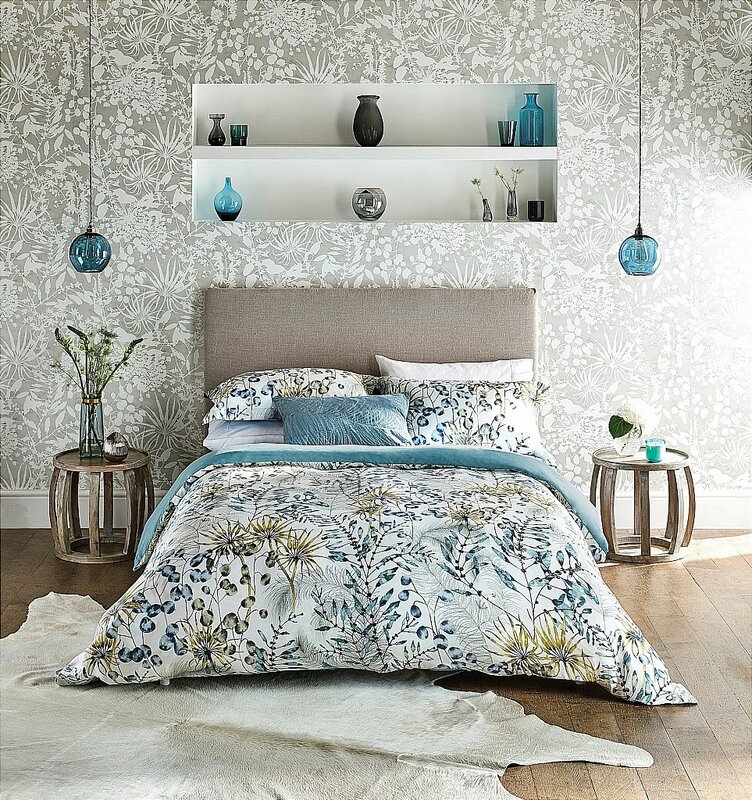 Exhibiting an exotic mix of sea-plants swaying over the fabric, the all-over duvet cover design combines line drawings with whimsical watercolour plant designs with a plain reverse on 100 per cent cotton sateen. Available in single, double, king and super-king duvet covers with a luxurious 200 thread-count with button fastenings. The Oxford pillowcases carry the same design. Accessorise the look with the velvet cushion in lagoon blue with a feather motif embroidered onto a velvet base. Composition: 100 per cent Cotton Sateen. Cushion: 100 per cent Cotton Velvet. Throw: 48 per cent acrylic / 43 per cent cotton / 9 per cent polyester. I would like more information about Postelia Exotic Bedding In Lagoon by Harlequin.